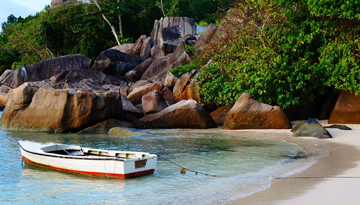 Just hearing the word Seychelles conjures images of soft, white sand, palm-fringed beaches and clear blue water. Visitors tend to head to the main island, Mahé which is particularly popular as a beach destination, or they choose Praslin which is the only place in the world where the celebrated Coco De Mer palm grows or they stay on La Digue, a beautiful island famous for it's spectacular coastline. Anyone feeling more adventurous can travel by private yacht or in a small plane to several of the smaller islands, many of which mostly uninhabited. Coupled with the exclusive 5-star resorts, this makes the Seychelles a popular destination for honeymooners looking for their own desert island. Food on the islands is unique, bringing together flavours from Africa, France, China, India and English cuisine. The spicy and sweet flavour combinations are further enhanced with fresh local ingredients such as seafood, chillies, green mangoes, coconut and breadfruit. For those who like to party into the early hours of the morning, the islands also offer some hot nightspots, including bars, discotheques, nightclubs and casinos. Discover Cheap flights to Mahe Island from Heathrow with these economy class offers at £469 return. 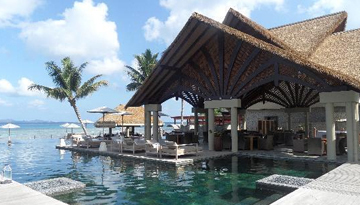 Le Domaine De L Orangerie offering 4-star accommodation & comfortable accommodation. 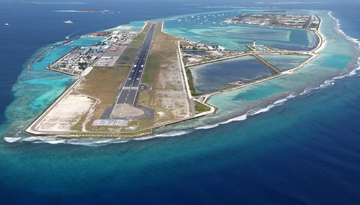 Fly from London - Mahe Island & Stay for 4 nights with 5 star accommodation. Room Only.